Blog » Atlanta » Get Ready for the Winter Olympics with These Frosty Favorites! We know that thinking of party ideas for kids is not easy, so we want to give you a hand. Our mobile video game truck will come to you, and we can even bring along our mobile laser tag! If it’s winter-themed games you’re looking for, read on for our top picks that will help you get in the spirit for the Winter Olympics. Want to feel the winter chill? In North Atlanta we know it gets cold, that’s why we want to help give you ideas for a video game party! This winter-themed video game will help you and your friends feel the chill of snow while remaining warm. 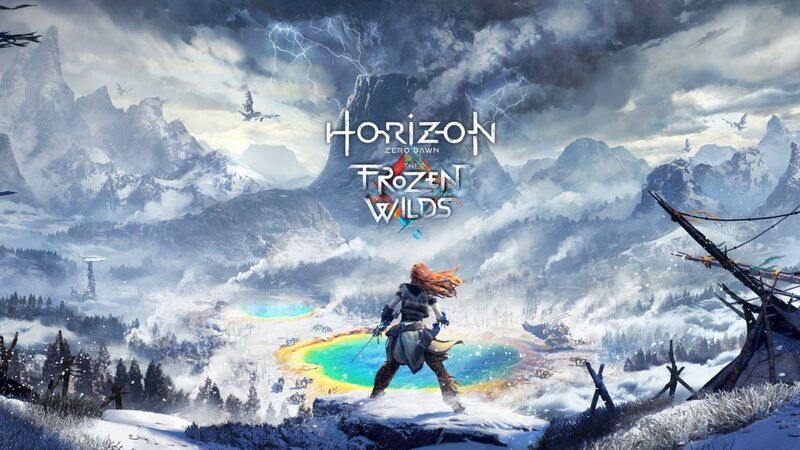 Just make sure you stay frosty while playing Horizon Zero Dawn: The Frozen Wilds. As you travel over and above the northern mountains, you’ll fight for your life because the Bank tribe doesn’t take kindly to travelers. Make sure you survive the harsh winter and the frozen threats that come! Miss old style winter arcade games? We know just the game! In March of 2017, V7 Entertainment released Old Time Hockey. This game is a hit and may even be nominated as one of your community event ideas. There are two forms of control, the standard NHL series control and the two button setup for old school players. Try it out and let us know what you liked! Is it snowing? Do you miss driving? Now you can race without hitting the snowy streets! With Forza Motorsport 7 and Gran Turismo Sport, you’ll scratch that speed itch we know you have. We know these games are just too fun to put down. With that said, we don’t take responsibility if you call out sick to stay home and play these games! You guessed it, the Crash Bandicoot N. Sane Trilogy is back! This game is a great choice for a boy’s birthday party and a girl’s birthday party alike! Released in June of 2017, this is one of the oldest video game series. Started in the 1990s this game has evolved over they years and is still kicking! Now you can experience this game like never before! Don’t wait until everyone else has booked their winter game truck! Visit us by clicking this link and check out our game truck party prices and book your very own video game themed party to celebrate the Winter Olympics! Did we miss any of your favorite winter games?